Te Awa is an iconic shopping destination, a community meeting place and a showcase of Tainui identity. 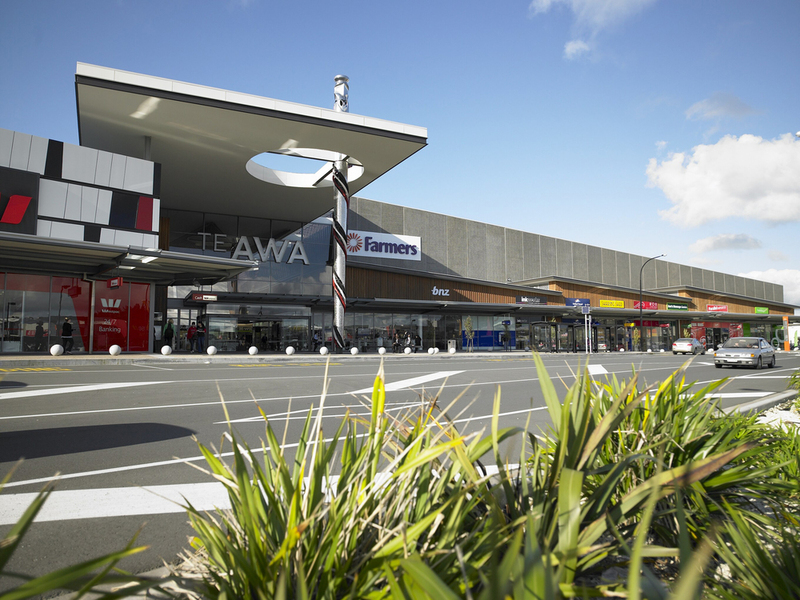 Spanning four hectares, Te Awa Shopping Centre is a significant retail development for the city of Hamilton. Part of the wider The Base retail precinct, it has a gross leasable floor area of nearly 30,000sqm and accommodates major retailers, boutique stores, eateries and cinemas. Te Awa’s design brings together the unique culture of its owner, Tainui Group Holdings, and leading-edge building technologies. Balancing these inputs required a highly collaborative relationship between Tainui and the design team. The result is a modern facility with an authentic sense of place, which challenges traditional mall typology. Inside the building an internal street, covered by single-span steel structural ribs and an ETFE roof, forms Te Awa’s main spine. This street spills out to the exterior entrance plazas, maintaining a seamless pedestrian flow and connection to the large format retail stores on the rest of the site. Busy Te Rapa Road, which runs along one border of the centre, was an important consideration in the architectural design. By varying form and scale, detail, rhythm, materiality and landscaping, the design provides a human scale at pavement level and a civic scale for motorists and passers-by. Asset owner, Tainui Group Holdings, was eager to ensure Tainui culture would be clearly represented throughout the centre. Three key themes were chosen as cultural anchors for the design – the Waikato River, the Waka, and a distinctive black, white and red thread pattern. 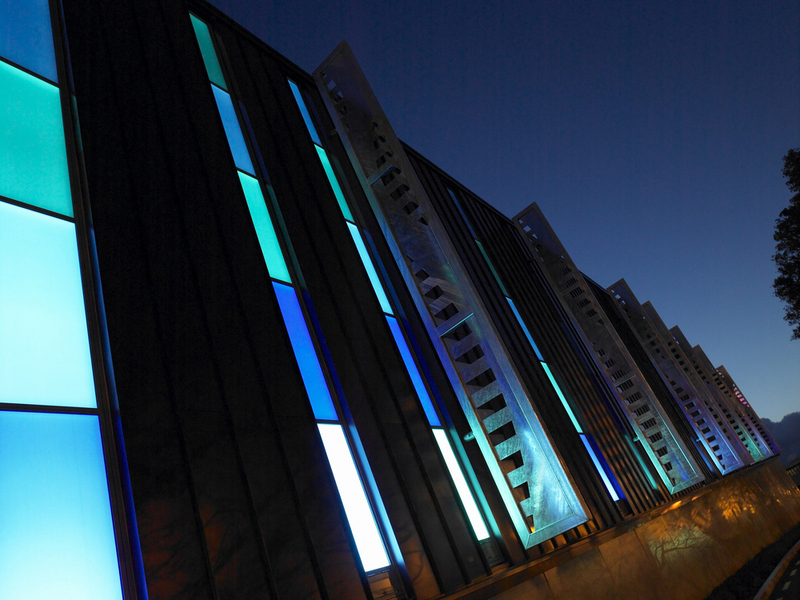 The most culturally significant element of the design is the Pou, which marks the main entrance point to the centre. It provides spiritual protection and represents the concept of Te Koohao o Te Ngira ki Te Awa (The Eye of the Needle). The convergence of the three threads at the needle’s eye represents inclusiveness and the idea that Te Awa is a place for the community to come together. All of the materials used were chosen to support connections to Te Awa’s natural, cultural and historical setting. Wherever possible, locally-manufactured, long-life and low-maintenance materials were specified. External claddings have natural finishes, such as oiled cedar, Corten steel and honed natural concrete panel. The triple-layer, self-cleaning ETFE roof, is patterned with Tainui’s Niho Taniwha (guardian’s teeth) motif and diffuses natural light into the internal street. This structure, along with an integrated spill air displacement strategy for mixed-mode ventilation, are key components of the passive approach to internal environmental comfort.